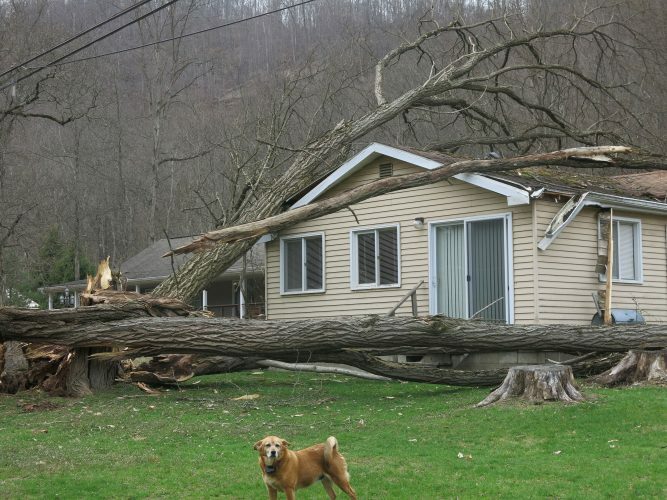 FINDLEY LAKE — The weather outside was frightful on Saturday, but beautiful on Sunday as Findley Lake celebrated its annual Christmas Through the Village. Shoppers who have come to this event in previous years found many things to make their return worthwhile. And for those who came for the first time, the experience of a small town celebration awaited them. A town crier made certain visitors didn’t miss any happenings. He rang his bell in the streets and announced each event. One new item that surely delighted both young and old was the expansion of the Visit with Santa venue. 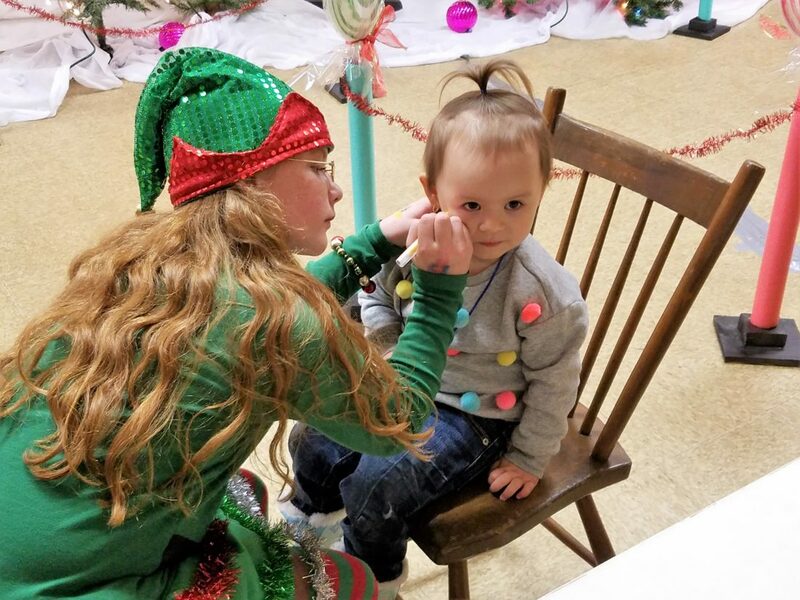 This year’s Santa experience took place in the Findley Lake Fire Hall and consisted of four stations for children to enjoy, as well as a wonderland of decorations. Santa, of course, was available to have children sit on his lap and to have their pictures taken with him. Just beyond Santa’s chair, one of his elves crafted balloons according to each child’s preference. Further along another elf helped children make a bird-seed pine cone to take with them,. And at the final station in Santa’s workshop, a young elf painted wreaths or Christmas trees on children’s faces. 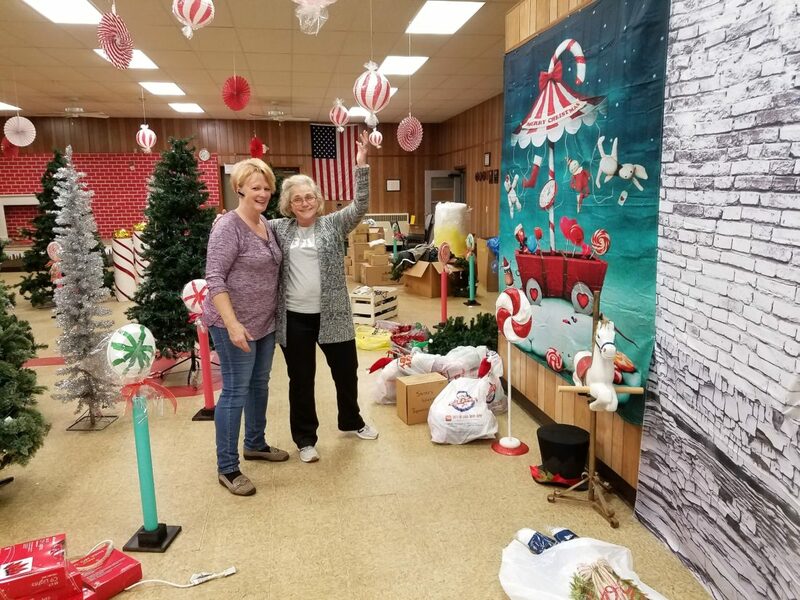 Sonney and Santa Workshop Co-chairperson Shelly Susi burned the midnight oil getting the fire department building ready for Santa, but they said the work was well worth it. Other additions to this years’ celebration included live music from noon to 2 o’clock at the Secret Cubby of Antiques, where visitors can peruse thousands of square feet of antiques. There were book signings by local authors at the September Moon Art Gallery from 10 am to 2 pm on Sunday. One of the authors, Judy Sharer, who wrote Settler’s Life said she thinks Findley Lake is “a very quiet little town with a lot to offer and is one of the best kept secrets in the area. Christmas Through the Village is an opportunity for the region to appreciate the small town feeling with something for everyone,” she said.